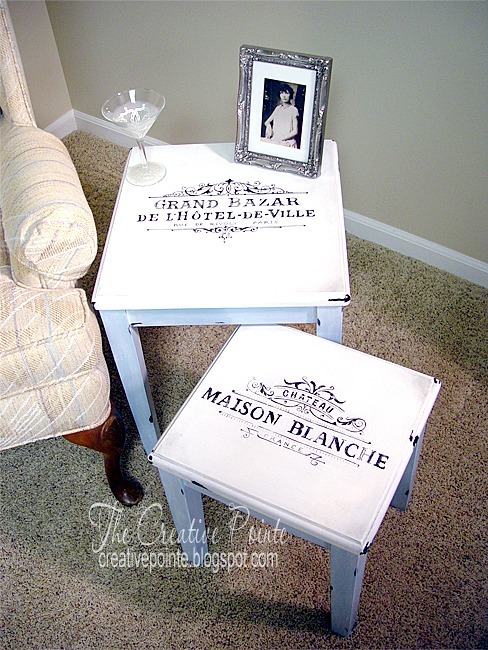 Today’s reader feature are these adorable DIY French Nesting Tables, which were submitted by Cindy. 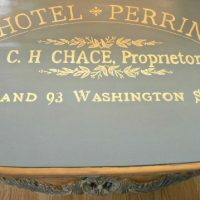 She wanted to give these tables a major facelift, so she gave them a coat of black paint, and then a few coats of white and blue chalk paint on top. 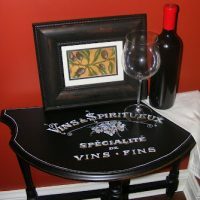 Next she chipped the paint away to reveal some of the black paint underneath, for a nice distressed look. 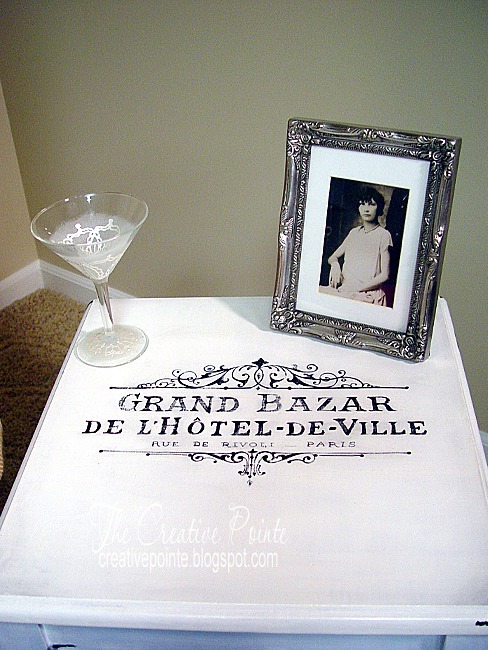 She decided to hand paint the Grand Hotel graphic on the larger table and a Wine Label graphic on the smaller table. These came out fabulous! Thank you, Cindy, for sharing them with us today! 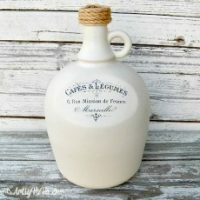 To see this and her other projects, visit her blog. To learn how to transfer images yourself, visit the Transfer Methods Page. « Public Domain Seashell Baby Image!